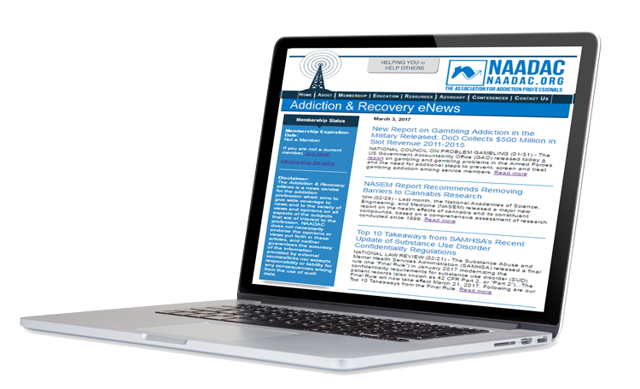 NAADAC, the Association for Addiction Professionals offers solutions for targeted and integrated multi-media campaigns. Our partners get the most successful results when they use digital ads, print display ads, and face-to-face meetings to reach addiction counselors, professional counselors, social workers, addiction educators, and other addiction-focused professionals. Digital ads reach the inboxes of over 48,000 viewers in this bi-weekly resource that delivers trending and breaking news, innovations, research and trends impacting addiction professionals. Please contact Irina Vayner, Exhibits & Ad Sales Manager, at ivayner@naadac.org or 703.741.7686 x140. In NAADAC's official publication, your print display ad will reach over 10,500 readers looking for information about your company. Please contact Irina Vayner, Exhibits & Ad Sales Manager, at ivayner@naadac.org or 703.741.7686 x140 for more information about advertising with NAADAC. Download the 2018-2019 Advertising Guide. NAADAC invites you to join the family of exhibitors, sponsors, and advertisers at its 2019 Annual Conference: Navigating the Addiction Profession, Sept. 28 - Oct. 2, 2019 at the Renaissance Orlando at Seaworld in Orlando, FL. Exhibit dates are September 29-30. Join over 900 addiction-focused professionals for five days of presentations, professional development, networking, exhibits, culture, and community. Deliver both traditional and innovative promotions of your products and services through a custom sponsorship opportunity, an exhibit hall booth, and/or an advertisement in our conference program. 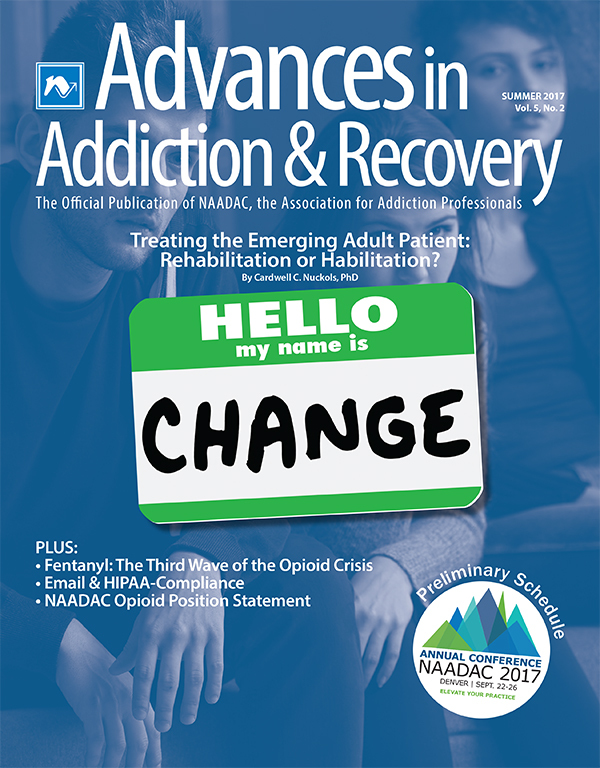 Access not only NAADAC’s conference attendees, but also to its prestigious membership of over 10,500, mailing list of over 48,000, and website with over 220,000 monthly visits. Don't miss the change to showcase your institution, product, or organization at this prestigious event! Please contact Irina Vayner, Exhibits & Ad Sales Manager, at ivayner@naadac.org or 703.741.7686 x140 for more information. We can help you develop custom packages that include print display ads, digital ads, and face-to-face marketing. Reach out to Irina Vayner, Exhibits & Ad Sales Manager, at ivayner@naadac.org or 703.741.7686 x140 to learn more.